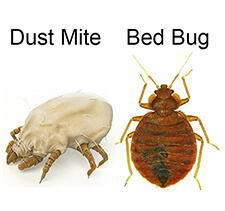 I would like to say a BIG thank you for your amazing products, when I realized we had bed bugs I was very distressed and quickly started researching about them, your website came up and your product had fantastic reviews so I called your company and they told me someone will be in contact with me. Sean called me back and he was so helpful he reassured me that everything will be ok and your products would get rid of them, I was so stressed and Sean went through everything with me step by step and said if I had any concerns to call him at anytime and will help me further. As soon as I hung up the phone with Sean I ordered your products immediately and they were delivered to me the next day! Amazing service. We followed all the instructions and that same night we were not bitten again! I couldn’t believe that it worked instantly! I cannot thank you enough because reading about bed bugs it said it was very difficult to get rid of them but not with your product it was so easy! So easy it was hard to believe. If anyone is reading this and wondering if they should buy this product do not hesitate it really does work and it is so easy to do. Again thank you so much!